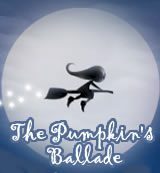 The Pumpkin's Ballade - Use your mouse to control the little witch Click left button to shoot. Keep the button pressed for extra powered shots. Collect the bonus for extra points, shots and magic shield.